There’s a few standard lodging options while traveling: booking a hotel or motel room, crashing on a friend or family member’s couch, pitching a tent at a campground, and sleeping in your car at rest stops. After nixing the last two (Matt was a proponent, and I was very firmly not), I started looking into finding Air Bnb accommodations. 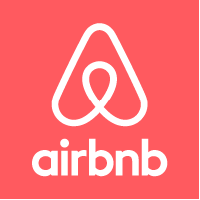 Air Bnb is an online service that contributes to the modern sharing economy. People can rent out a spare room in their house to travelers looking for a cheap, easy place to stay overnight. 1. It’s good for small budgets. Our most expensive stay was roughly $100, and our cheapest was roughly $50. Prices vary a lot, but we were happy to stay somewhere fairly bare-bones in the name of saving a few bucks. 2. Accommodations often have the same (or more) amenities as a hotel. At each of our three places, we had a private room and a shared (among a few people) bathroom. Two of our hosts cooked a lovely breakfast the next morning, and the other supplied granola bars, fruit, and oatmeal. Most homes have free wi-fi access too. Plus Air Bnb gives the flexibility to allow for unique setups rather than cookie-cutter hotel rooms. 3. You get more out of your trip when you stay with locals. Meeting and talking to locals is one of my favorite parts about traveling. They are the best resources for explaining the town’s culture and history and for recommending nearby attractions and restaurants. Many Air Bnb hosts also rent out multiple rooms simultaneously, so you may find yourself befriending other travelers. Furthermore, creating relationships with real people along your journey helps expose you to other lifestyles you’re unfamiliar with. We absolutely loved our Air Bnb experience in Wyoming, but we also got a kick out of our stay the night before Yellowstone in Rexburg, Idaho. Rexburg is the home of Brigham Young University-Idaho, and being in a predominantly Mormon environment was fascinating. We stayed with a nice elderly couple in a home inundated with religious imagery and family photos. We said grace at breakfast the next morning and the husband gave Matt The Book of Mormon (no, not the musical) as we said goodbye. As cultural immersion goes, it doesn’t get much better than that. Our road trip was the first time I’ve used Air Bnb, but I’m hooked–staying with real people is just so much more interesting than staying in a Holiday Inn, you know? Twice used in Chicago earlier this year for the first time, it was ace! We’re thinking of signing up our place for it, was tons of fun. Definitely! I love the sharing economy. And I wish we here had something like this, accommodation is so expensive! Wait yes I totally should. That’s a fantastic idea. Air Bnb has been expanding all over the world so maybe it’ll come to you soon! I looooooove Airbnb. I’m nearly at the point where I would rather Airbnb over most other lodging options, it really is that much better to me. And, if you ever do have a bad experience with them (I did once, the very first time I tried it), their customer service is FABULOUS. This also sounds like an ad, haha. It does but I just LOVE it so it’s hard to not sound like an ad!